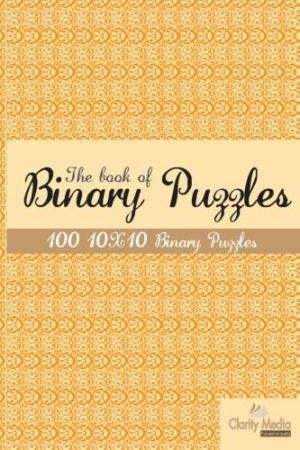 Welcome to this great collection of Binary Puzzles, in 2 different grid sizes! Feeling brave? See if you can take on both, and even try our 12x12 page found here . With as many as 7 volumes over the series, there's plenty to challenge you here! 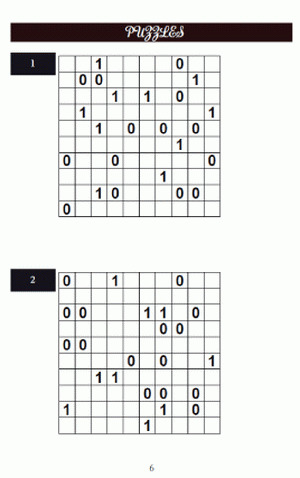 - A row cannot repeat in the grid, and neither can a column. For instance if one complete row contains 0101010101 then no other row in the column can contain exactly the same ten-digit sequence. Similarly if a column contained 0101010101 then no other column could contain that same sequence.